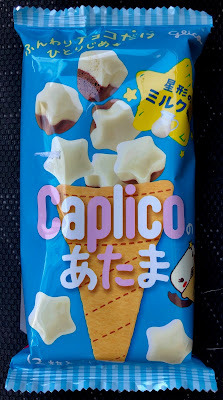 Caplico is a Japanese Brand of whimsical aerated chocolate. 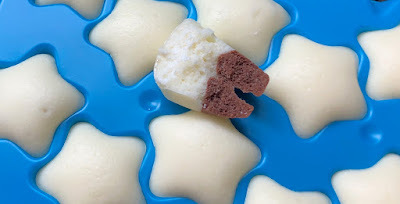 The concept is much like the British Aero bar---chocolate filled with tiny bubbles to create a light quickly melting bite. Caplico chocolate tends to have more bubbles that are tinier than the Aero, making them a more dense bite overall. I like both brands. 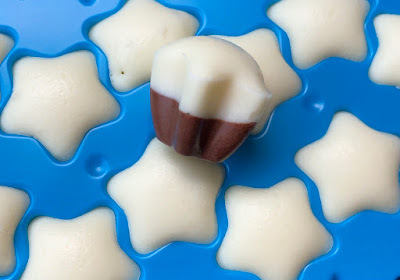 Here, Caplico has gone above and beyond and created the sweetest tray of aerated milk and chocolate stars. 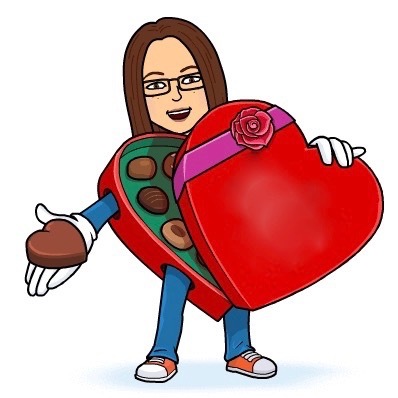 The presentation gripped my consumer's heart instantly. 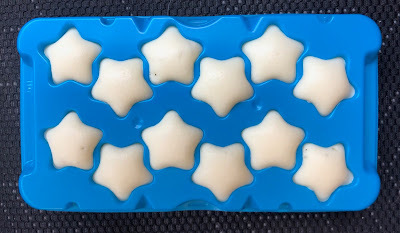 Each bonbon constitutes less than a bite, but melts in the nicest way in your mouth. You don't feel compelled to consume the whole tray at once, and it's a really nice candy for sharing. Try to find some of these if possible--they're an exceptional treat!